Njangalude Veettile Adhithikal malayalam movie directed by Sibi Malayil featuring Jayaram and Priyamani is currently undergoing shoot. Scripted by K Gireesh Kumar, the movie is blessed with the presence of Narain, Innocent, Kalabhavan Shajohn and Lena in prominent roles. This movie is produced by Milan Jaleel under the banner Galaxy Films. Read more to know about 'Njangalude Veettile Adhithikal'. After delivering a number of memorable movies like 'Kireedam', 'Mutharamkunnu P.O', 'His Highness Abdullah', 'Akashadoothu' and 'Ustaad', popular film maker Sibi Malayil have started the shooting of his new project. 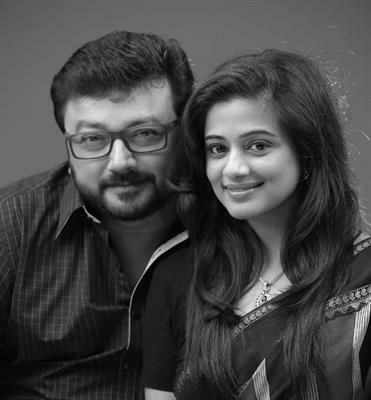 Titled 'Njangalude Veettile Adhithikal', the movie which features Jayaram and Priyamani is scripted by K Gireesh Kumar. Narain, Innocent, Kalabhavan Shajohn and Lena would be appearing in prominent roles. 'Njangalude Veettile Adhithikal' is produced by Milan Jaleel under the banner Galaxy Films. The actor is working with the ace director after a gap of nine years. The actor-director duo has worked together for many movies like Summer in Bethlahem, Amrutham and Alice In wonderland. Priya Mani is paired up with Jayaram for the first time in her career. K Gireesh Kumar has penned script for Amrutham, Alice in wonderland and acclaimed movie Veruthe Oru Bharya. The shooting has already started at Ernakulam. Actress Lena expressed her excitement for being a part of the venture. Sibi Malayil's last outing was 'Unnam' which a catastrophe in the box office. Actor Jayaram too shared his happiness to be a part of a movie that depicts our culture and always stayed close to heart. When the young generation is going away from the base, Jayaram wishes to show how our values and ethics are important. This movie is packed with all the basic essence to make it a family entertainer. Jayaram, the favourite actor among the family audience is truly committed to the audience. Sibi Malayil who has created huge hits is expected to bring the golden days and recreate magic on silver screen. After wrapping the shoot of 'Njangade Veettile Adhidhikal', Jayaram will join the huge sets being exclusively made for 'Mylanchi Monjulla Veedu' directed by debutante Benny Joseph. Heartthrob Asif Ali will also be a part of the project which is scripted by Uday Krishna – Siby K Thomas.